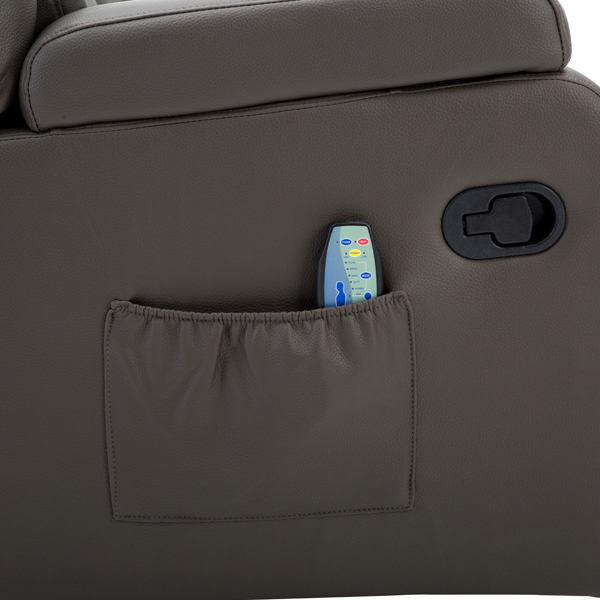 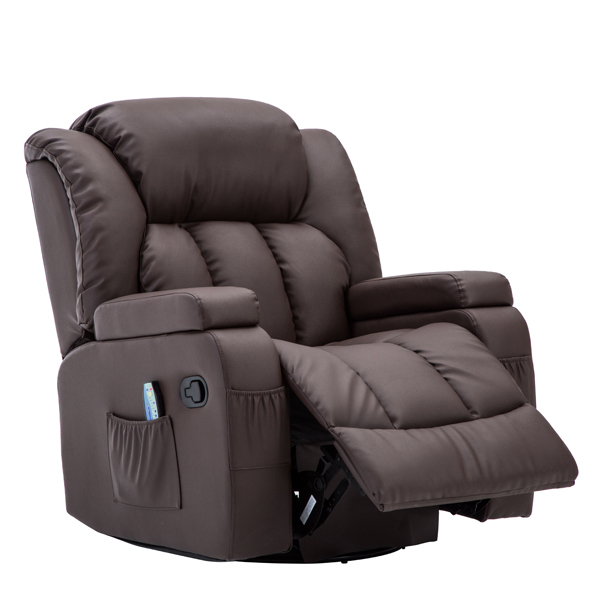 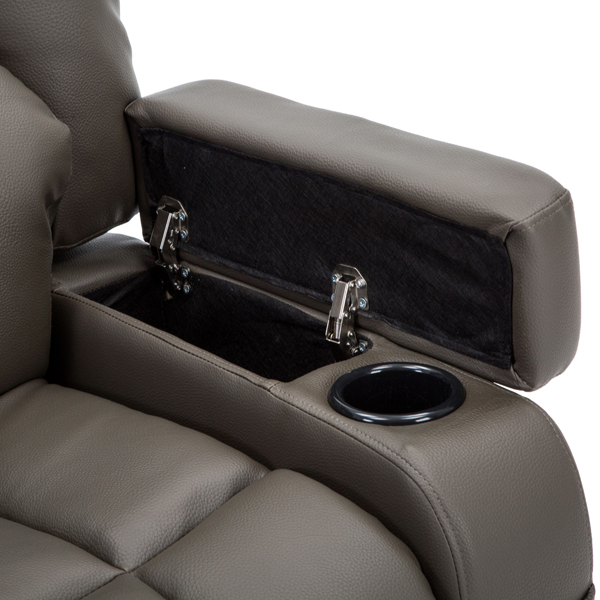 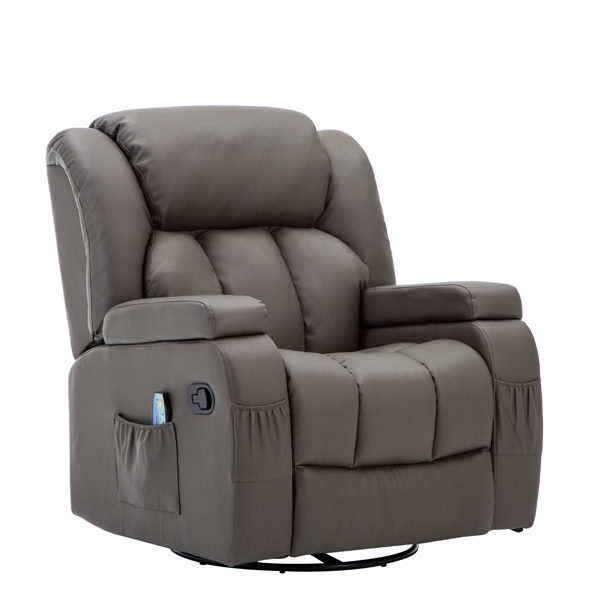 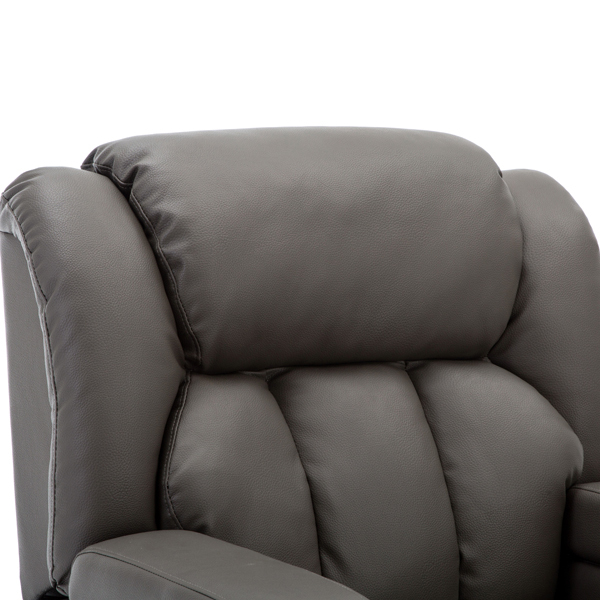 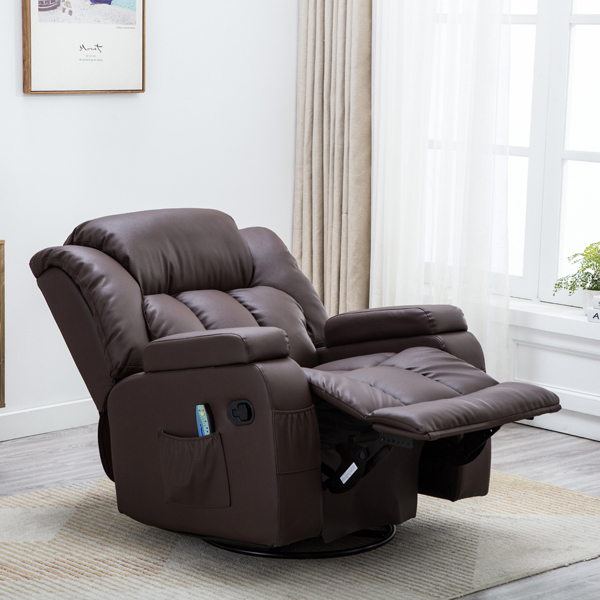 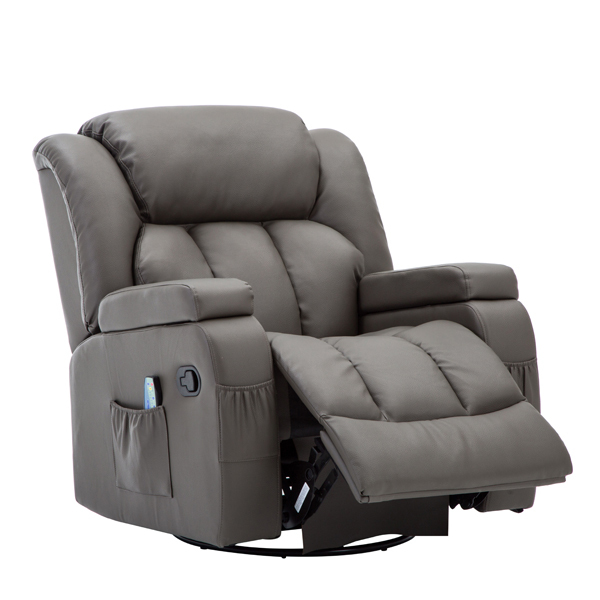 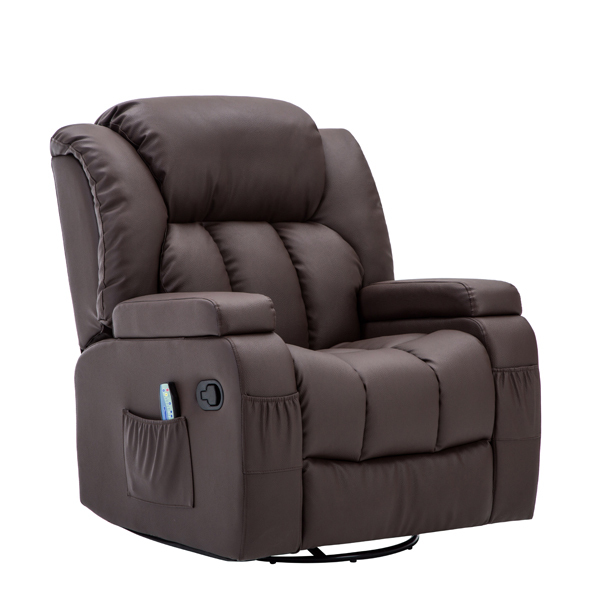 Put your feet up and sink into comfort and style with the plush Dorchester Ultimate 12 in 1 Recliner! 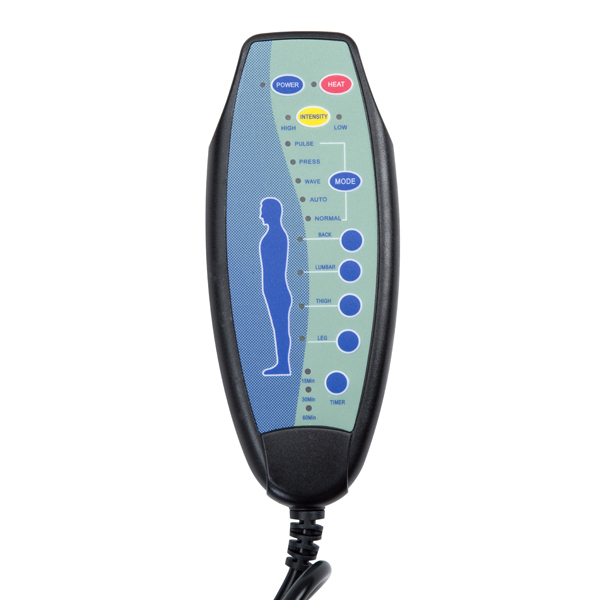 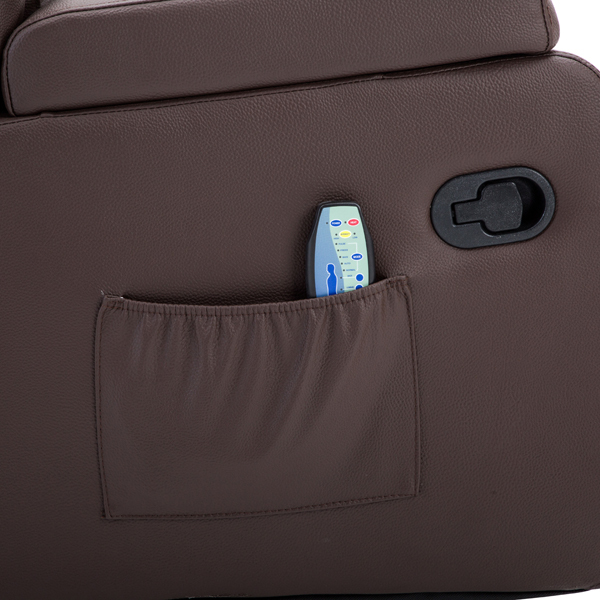 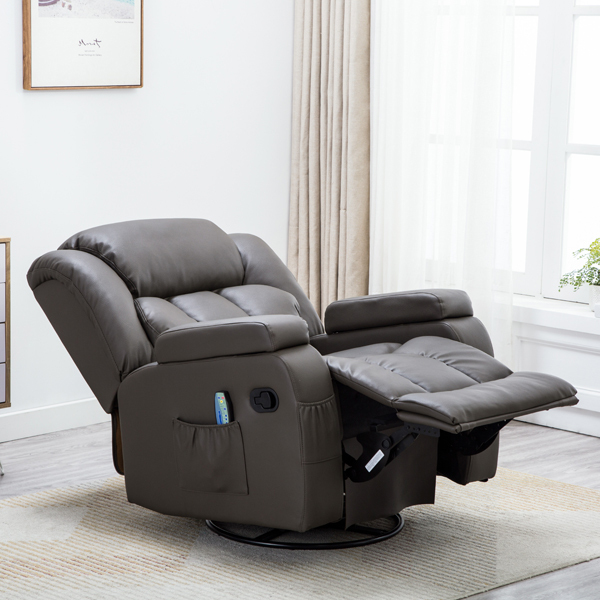 This fabulous recliner chair leaves you in full control of your relaxation, with a selection of eight massage features and built-in heat direct from the handset to help you settle in after a long day. 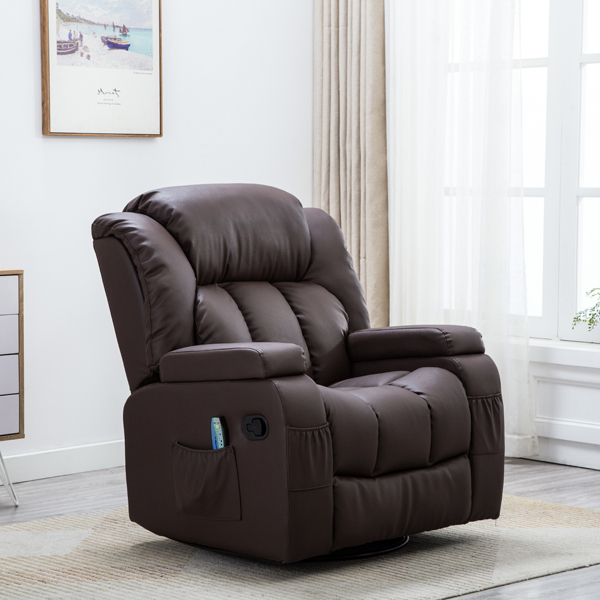 The bonded leather finish and padded upholstery invite you to leave any stresses behind as you enjoy luxury right in your home. 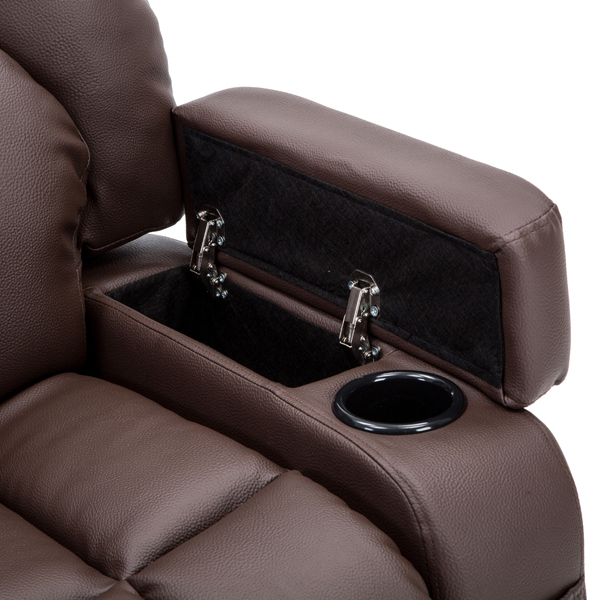 Keep everything you need close-by too, with the handy side and front pockets, as well as two cup holders for no strain when sipping away on your favourite beverages. 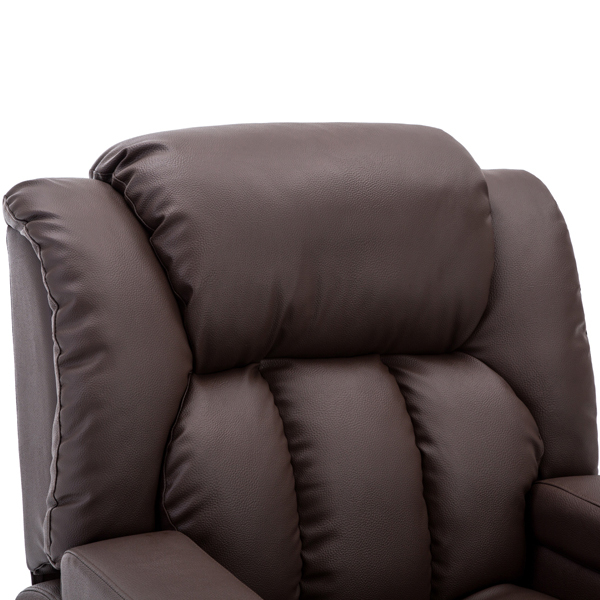 Available in a stunning collection of colours to match your interior, including charcoal and nut brown.